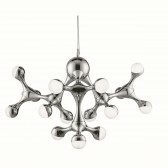 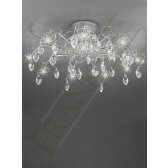 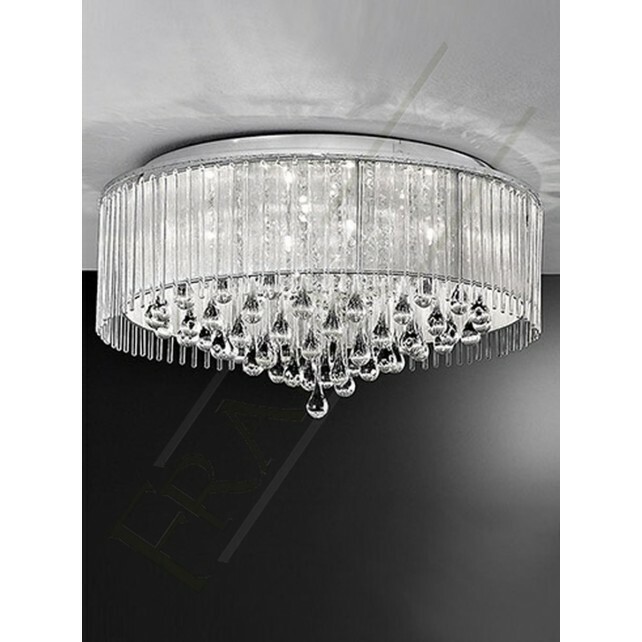 This 8 Light flush ceiling fitting a part of the range called Spirit by Franklite lighting, this light would be a beautiful piece to most rooms of any home. 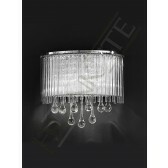 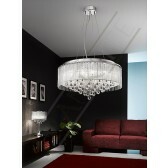 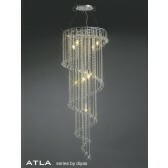 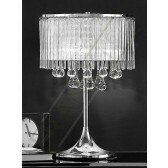 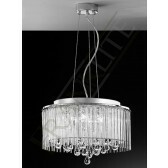 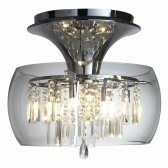 Its features a tiered fixture of teardrop shaped smooth glass droplets hanging beneath the lurex fabric shade. Inside the shade are also shall crysal droplets. 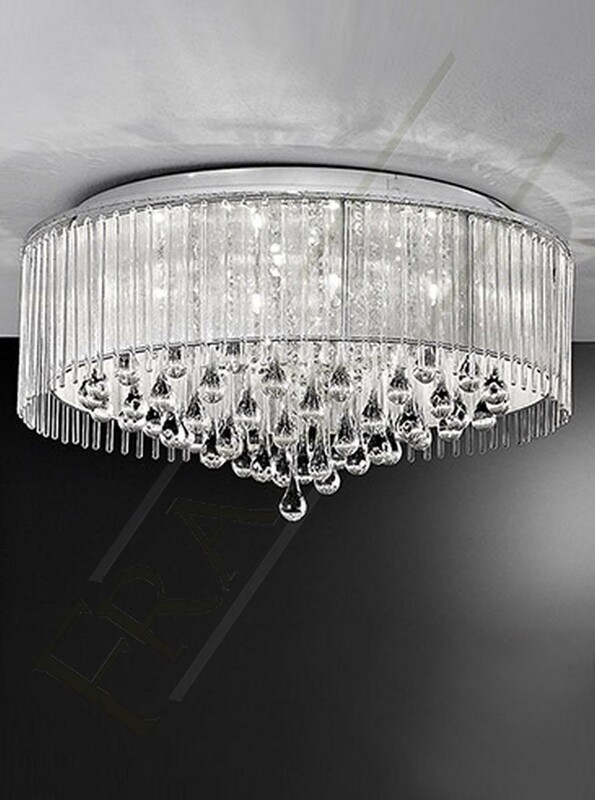 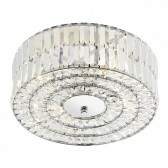 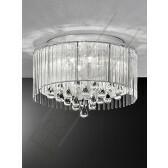 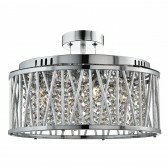 The sparkled light is supplied with 40W G9 halogen lamps which are suitable for dimming.